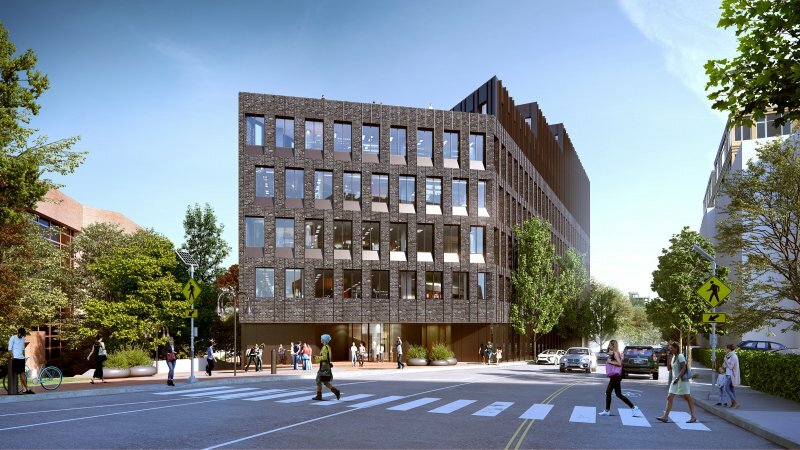 Envisioning multi-use space for entrepeneurs, designers, and developers, and additional groundfloor retail, the building acts as a connective ligature between the institutional, commercial, and historic avenues of Main Street. The facade, via a repeating pattern, ensures consistency throughout the various tenant spaces enclosed within. 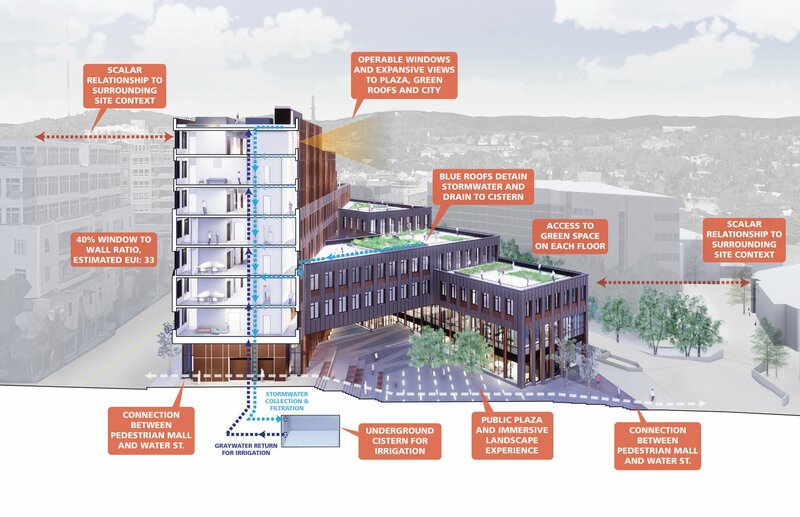 The building negotiates the difference in scales of the surrounding environment by employing a stepped elevation pattern, exposing rooftop courtyard areas and panoramic views of the Blue Ridge Mountains. 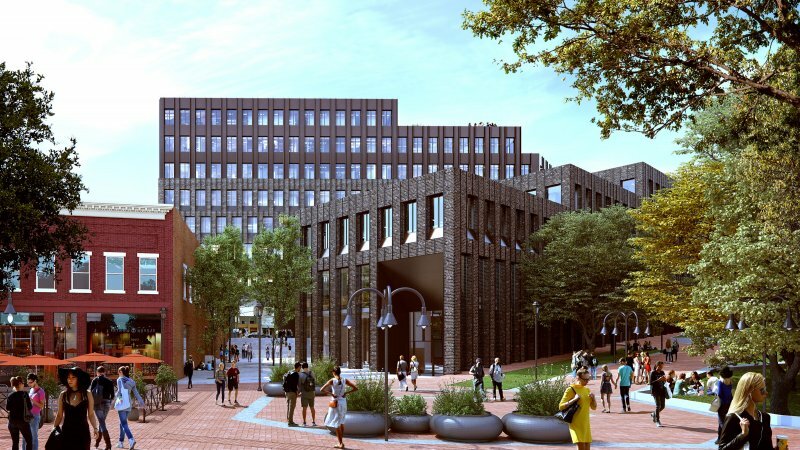 At the ground floor, the brick is lifted, replaced by a glazed first story, exposing a unique public space intended to enliven the street and promote connectivity. 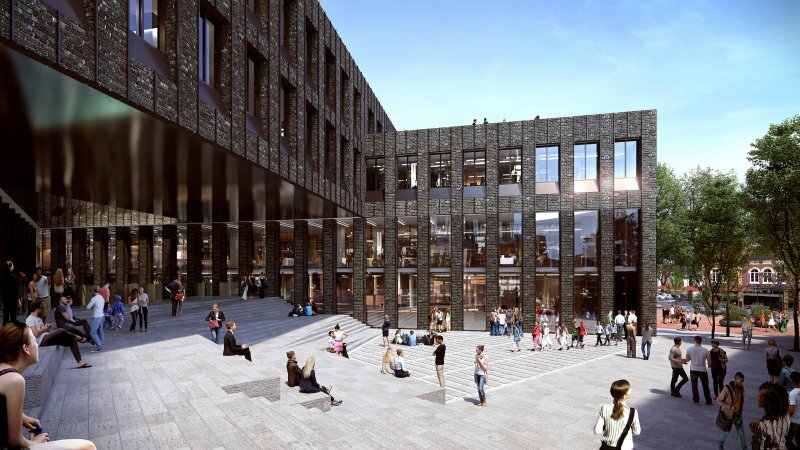 This interior plaza also serves to extend the conclusion of the main thoroughfare, Main Street, with a direct connection to adjacent Water Street, facilitating access between the adjoining areas and allowing further retail space to be integrated into the surrounding pedestrian mall. The project is targeting very ambitious sustainability goals, with completion set for 2022.